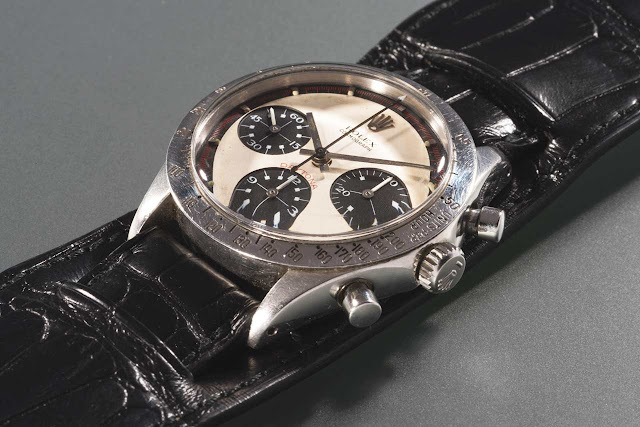 On occasion of its inaugural New York auction “Winning Icons: Milestone Watches of the 20th Century”, Phillips Watches will be offering one of the most important Rolex watches to ever be offered on the market: the “Paul Newman” Cosmograph Daytona model owned and worn by none other than Paul Newman, i.e the watch that inspired the legendary nickname for the most prestigious versions of Rolex’s Daytona. 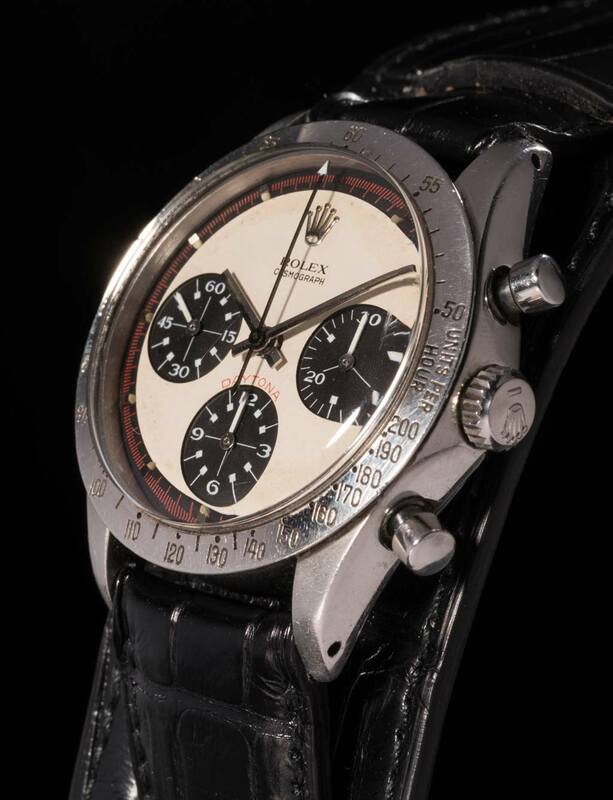 As we explained in our in-depth article “History of the Rolex Cosmography Daytona", the association with Paul Newman significantly contributed to the Rolex Daytona being universally regarded as one of the world’s most sought after and collectible of all mechanical wristwatches. Collectors, connoisseurs and watch enthusiasts have started the buzz on what sale price this truly unique Daytona could achieve. We will know it next October. In the meanwhile, let’s retrace the history of a timepiece which can be safely defined “the ultimate Daytona”. It all started with Newman’s passion for motor sports. This passion started in 1969 while playing racecar driver Frank Capua in the 1969 film, Winning. His wife and fellow actress, Joanne Woodward, fittingly played the role of Capua’s wife. Taking place at the Indianapolis 500 Motor Speedway, the movie launched his successful auto-racing career. He won many races throughout his lifetime - even placing second at the 1979 24 Hours of Le Mans race. But even in the earliest days on the set of Winning, Joanne was uncomfortable about her husband’s motor racing, fearing he would hurt himself in an accident. Either during or following the filming of Winning, Joanne purchased a Rolex Cosmograph Daytona - likely at Tiffany & Co. – as a gift for her husband. 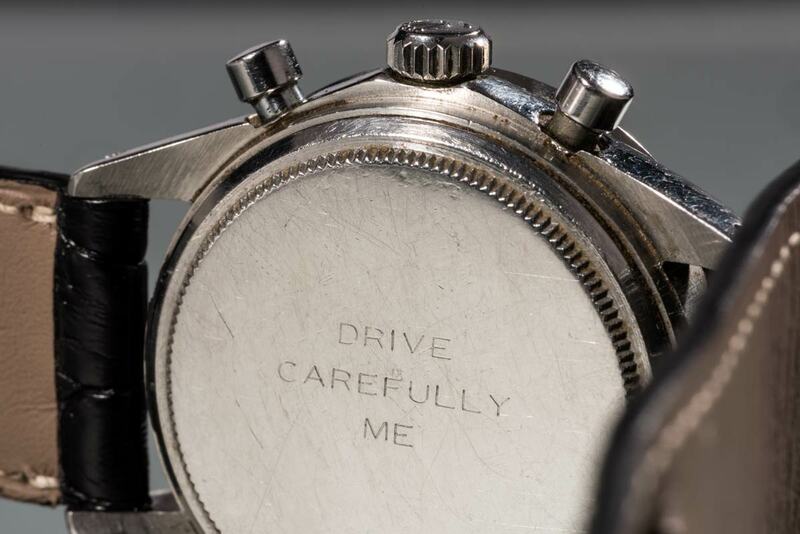 On its caseback, she chose to engrave the “DRIVE CAREFULLY ME” inscription. She chose a rare and exclusive version of the Cosmograph Daytona – a reference 6239 fitted with what the brand called an “exotic” dial. 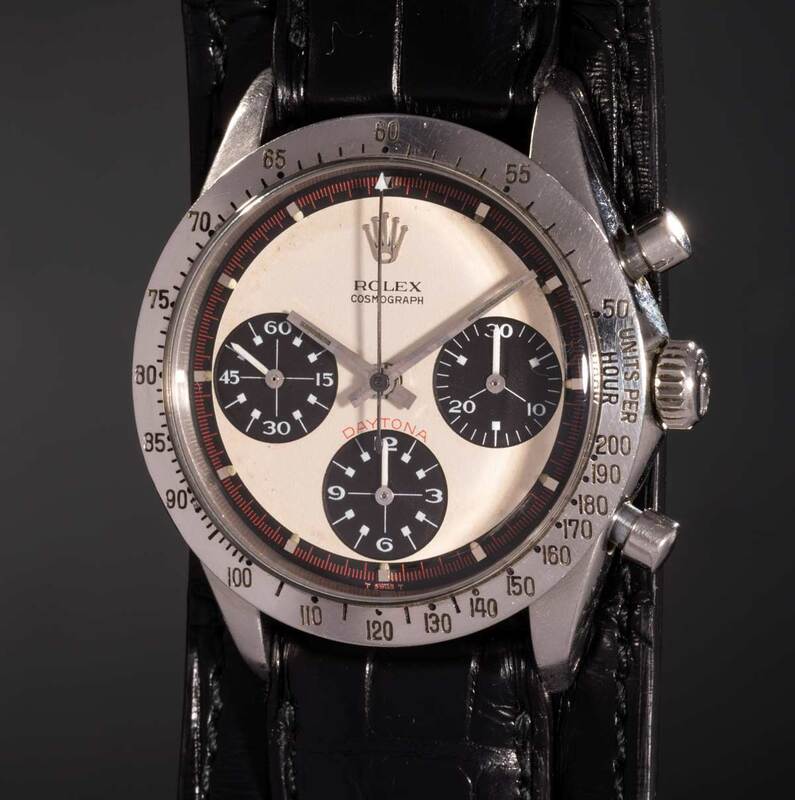 Even if Paul Newman was not a Rolex ambassador or otherwise connected to the Swiss manufacturer, he was a Rolex enthusiast and over the years it has become common to identify any Rolex Daytona with exotic dial as "The Paul Newman Daytona". 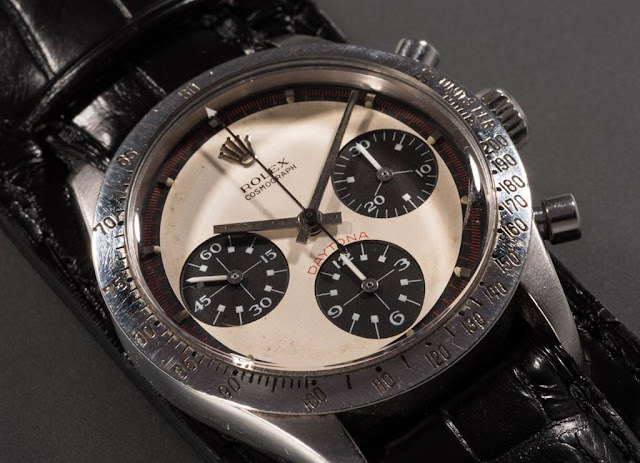 In particular, a Paul Newman dial must be in a reference 6239, 6241, 6262, 6263, 6264 or 6265 watch, installed by Rolex as original. Along with the red “Daytona” designation at 6 o’clock and the red outer seconds track found on Paul Newman’s watch, the signature trait of exotic, “Paul Newman” dials is their subsidiary dials. The beautiful, art-deco flare of the font used, and the hash marks with small squares used for the counters set these exotic dials apart from the standard dials more commonly seen on Daytonas. Throughout his career, Mr. Newman was seen wearing many different generations of Daytona models but the model that will be on sale next October is the first Daytona he wore, and is the only "exotic"-dialed Daytona that Mr. Newman owned and wore. 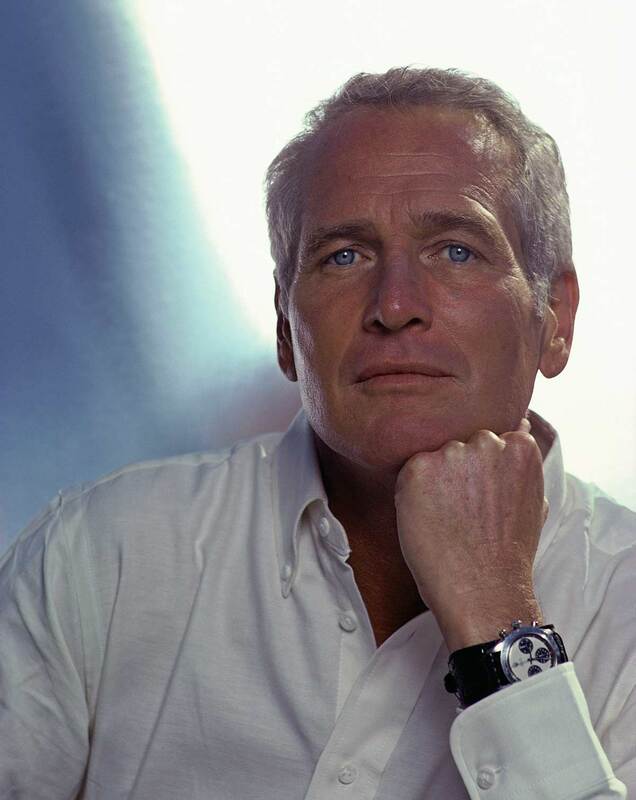 For years, until 1984, Paul Newman wore this watch. Ultimately, it was given directly by Mr. Newman to the consignor. A portion of the proceeds will go to the foundation created by Nell Newman, Paul’s daughter. The charitable foundation supports her father’s philanthropic values, while serving Nell’s commitment to organic foods and sustainable agriculture. Another portion of the sale proceeds will also go to benefit Newman’s Own Foundation. The top lot of the upcoming “Winning Icons” New York Auction will be offered with an estimate in excess of US$ 1.0 million. “Paul Newman” Daytona owned by Paul Newman on sale at Phillips on 26 October 2017. On occasion of its inaugural New York auction “Winning Icons: Milestone Watches of the 20th Century”, Phillips Watches will be offering one of the most important Rolex watches to ever be offered on the market: the “Paul Newman” Cosmograph Daytona model owned and worn by none other than Paul Newman, i.e the watch that inspired the legendary nickname for the most prestigious versions of Rolex’s Daytona. The top lot of the upcoming “Winning Icons” New York Auction will be offered with an estimate in excess of US$ 1.0 million.